Two exhibitions. 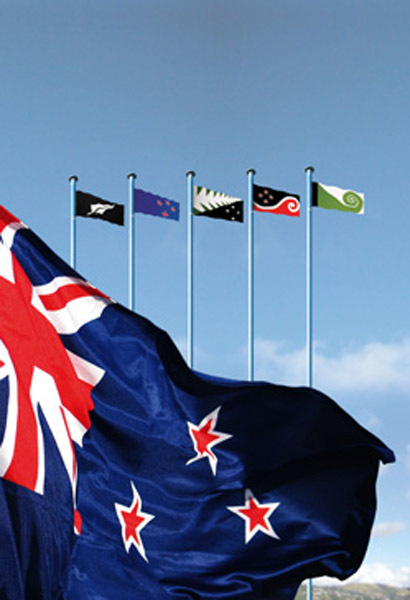 The history, and future, of the New Zealand flag. 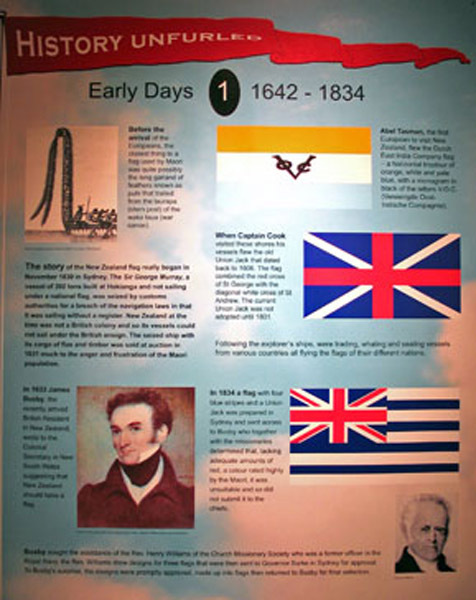 Reviewing early colonial and national flags, History Unfurled looks back at the historical use of flags within New Zealand. Images from previous centuries show the multitude of flags employed by various groups and the range of ways and places in which they were displayed. 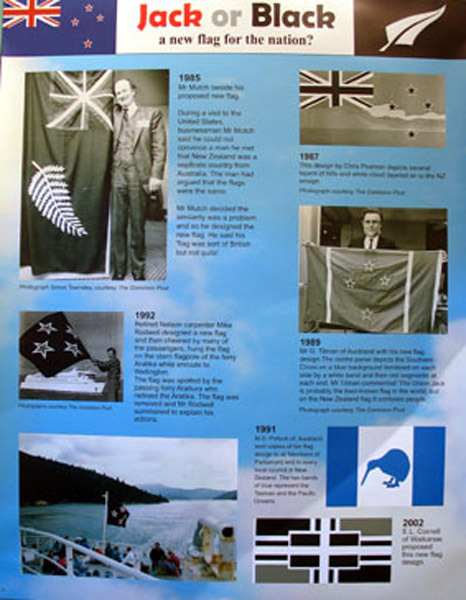 Tracing the history of New Zealand’s recognised national flags – the flag of the United Tribes of New Zealand, the Union Jack and the current national flag – History Unfurled shows the evolution that the flag has undergone within New Zealand’s history. 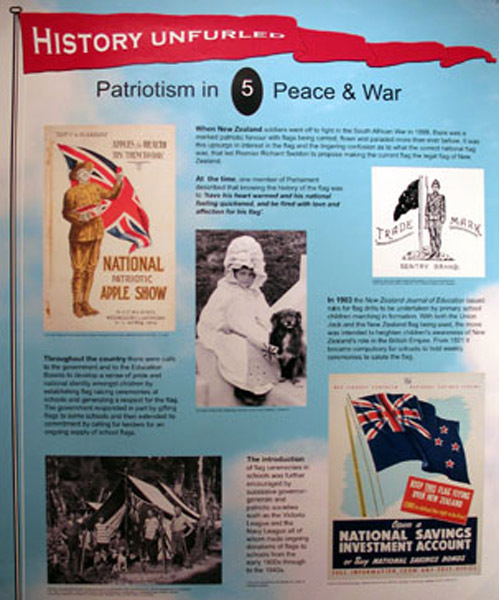 Also featuring in the history of the flag in New Zealand is the role it played in the swelling of Commonwealth pride that accompanied Royal Visits. Photographs depict proud New Zealand children clinging to home-made flags while the members of the Royal Family stand before them. 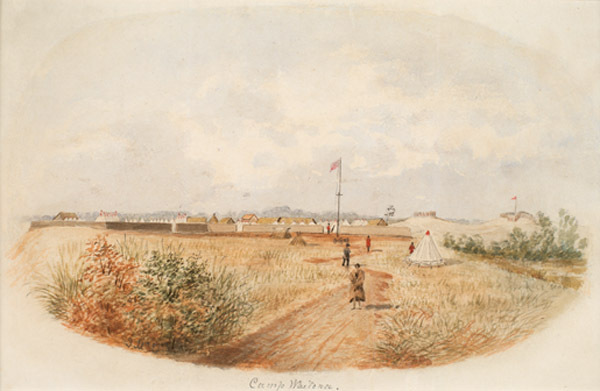 These depictions of New Zealand’s pride in its colonial roots and in its own identity form an important image of New Zealand’s history and the flag’s role in our past. The flag and what it represents is synonymous with outpourings of patriotism. 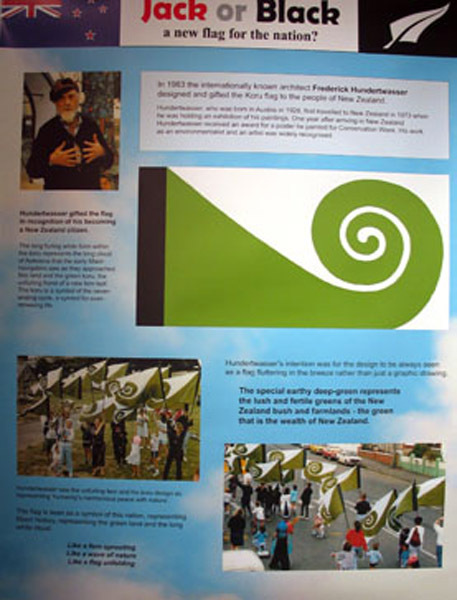 History Unfurled also depicts the enthusiasm with which Maori took on the flag as a symbol. 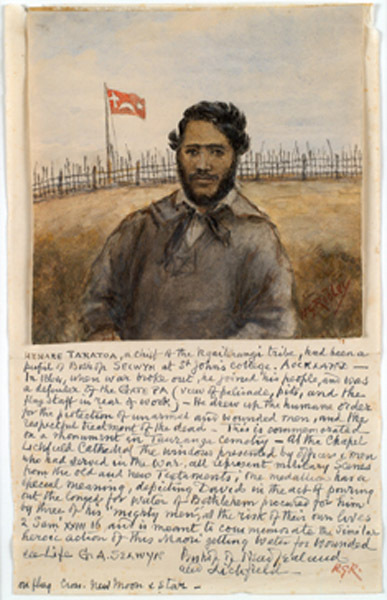 Having seen the passion and pride with which British soldiers fought for their flag, Maori took on the flag as a symbolic representation of the mana of their people. 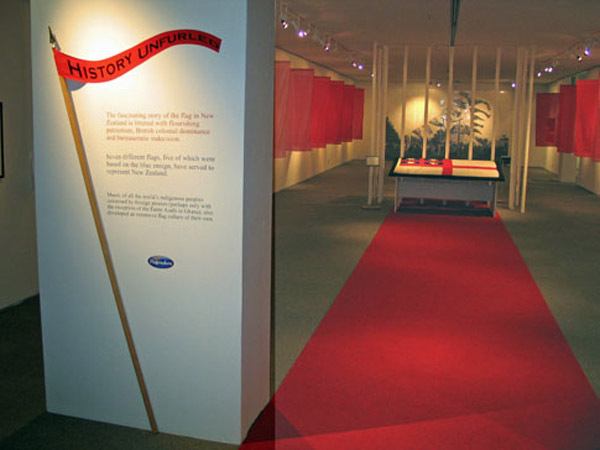 In doing so, a dramatic visual past has been created through the designs and uses of the flag in Maori culture, past and present. 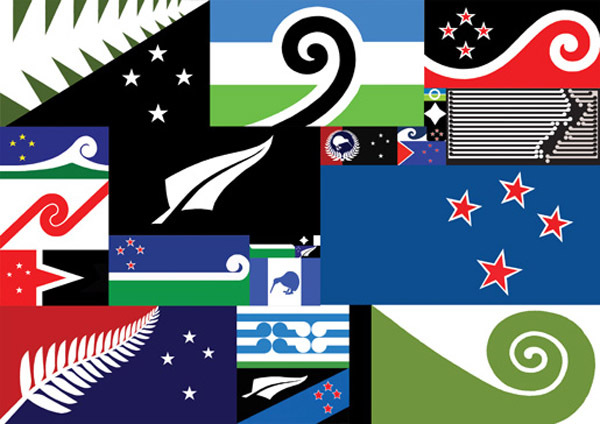 Jack or Black – A new flag for the nation? A new constitution? A new national anthem? A new flag? The media loves the debate and has given these issues a high profile, none more so than the discussion regarding a new design for our flag. 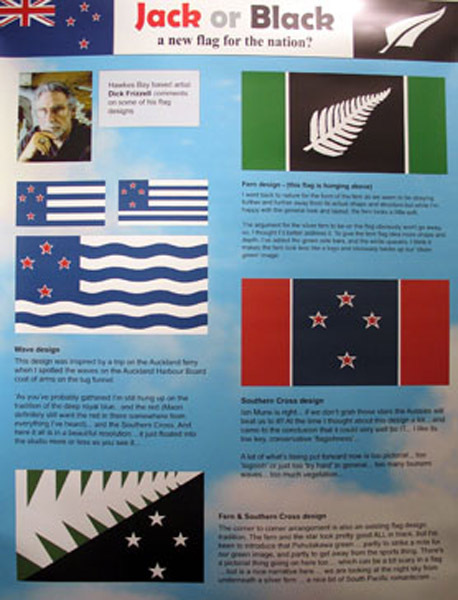 Jack or Black explores the discussion for a new flag, presents a wide range of proposed designs, provides comments for and against a change, and uses press clippings, cartoons and video to provoke thought and debate on the issue.